Statement of Responsibilityan MTV Networks production. 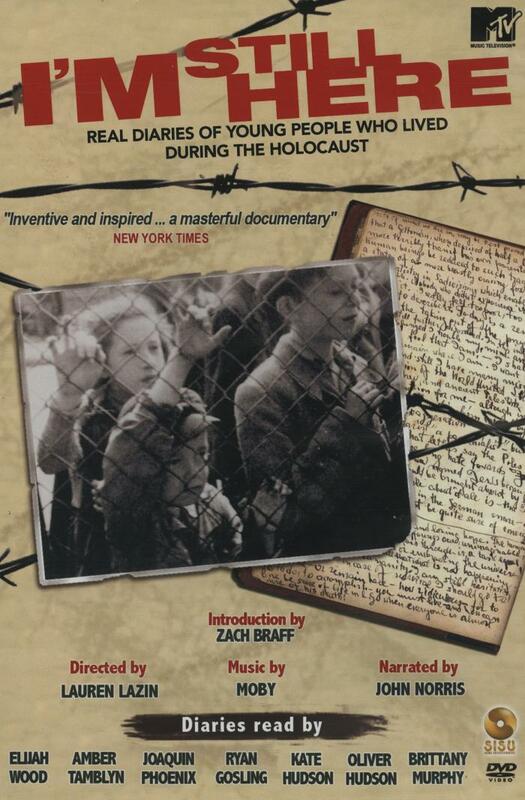 SummaryBrings to life the diaries of young people who witnessed first-hand the horrors of the Holocaust. Through an emotional montage of sound and image, the film salutes this group of brave, young writers who refused to quietly disappear. The stories of the young Holocaust victims come to life by weaving together personal photos, handwritten pages and drawings from the diaries, and archival films. Original footage shot in Vilnius, Lithuania, in the remnants of the old Jewish ghetto. DistributorNew York : SISU Home Entertainment, Inc.